How did he not end up in the Potomac? 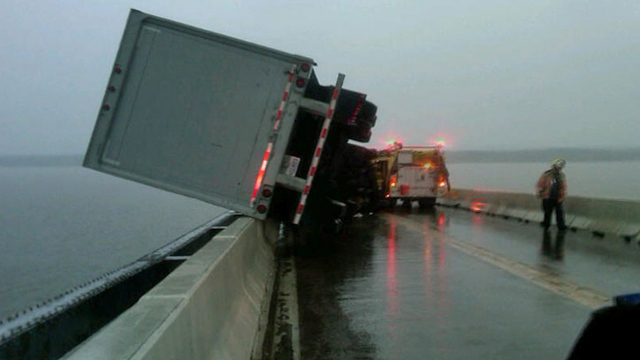 A UPS truck was unlucky enough to get caught on a Maryland bridge above the Potomac River Friday during a thunderstorm with 60-mph winds. The driver was lucky enough to avoid the water 135 feet below — by mere inches.